For which post can I apply after passing 10th with 74%? Best books for IBPS entrance exam? Can i apply for clerk post in Bank after scoring 71.2% in 10th and 72.3% in 12th? When will be the next notification for IBPS exam? 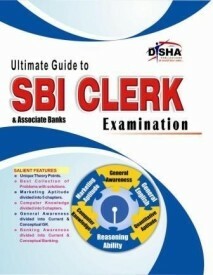 Can I apply for bank clerical exam on the basis of 12th? Age limit to appear for the post of Bank PO as well as Bank Clerical Job? What is the chance of getting a government job? Which exam should I give to take reputed job in government and private sector? Minimum qualification required to appear for banking job exams conducted in India? Exact Date of IBPS Clerk Exam? Can I apply for Bank Clerk exam after passing 10th with 60% and 12th with 48%? You have completed 12th standard with above 65% so you are not applicable for IBPS Clerk Exam because If you have completed Graduation degree or completed Diploma degree , then you are applicable for IBPS Clerk Exam.They are not require any kind of percentage marks in Graduation or Diploma degree .Your age should be in between 20 to 28 years old. If you have completed 10+2 with any stream from recognized board with above 60% marks then you are applicable for SBI Clerk Exam OR those candidate have completed Graduation from recognized university are applicable for SBI Clerk Exam. Selection process for SBI Exam is 1)Written Test 2) Personal Interview. 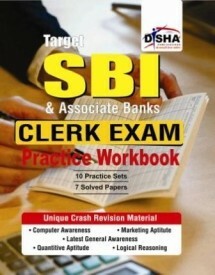 For preparation of SBI clerk Exam , i have listed some books name , You can buy this books and try solve properly .